Male Muscovy Duck—Male Muscovys are called drakes. Drakes do not quack; they hiss. Video clip of a male Muscovy Duck. In the clip you can hear other ducks quacking and guinea fowl calling in the background, but if you listen closely, toward the end of the clip you can hear the male Muscovy hissing. Female Muscovys are called "ducks." 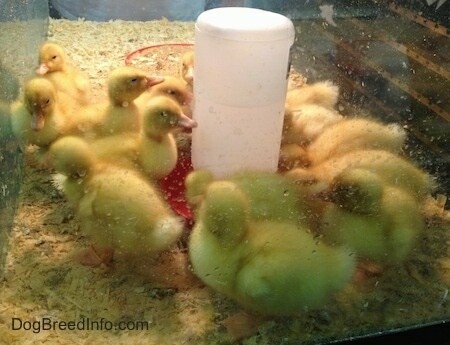 The females do not quack either; they squeak with different emphases for different occasions. Muscovys also have a funny walk to them. 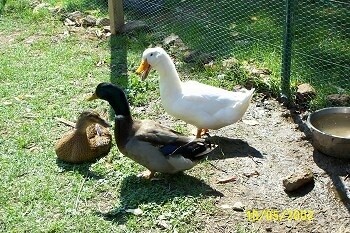 This type of duck lives to be about 7 to 8 years old.